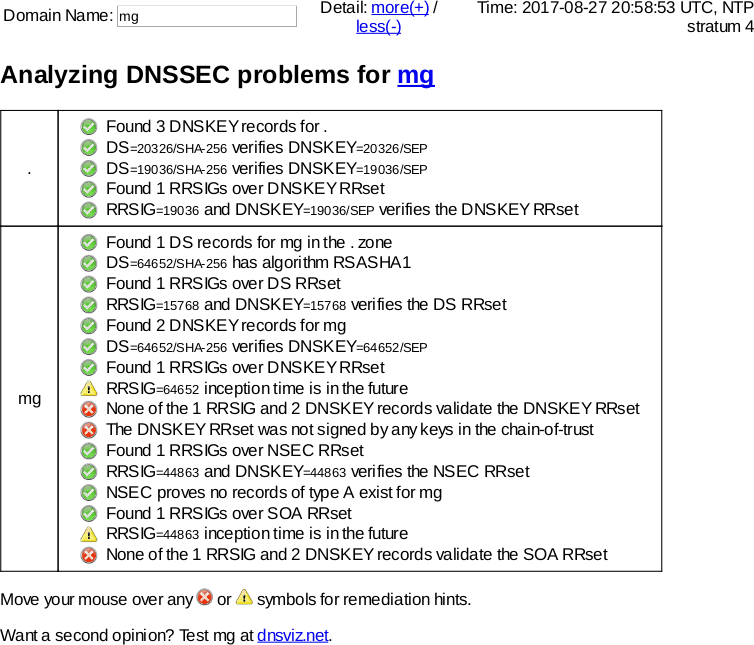 This page gives some details on the .mg (Madagascar) TLD DNSSEC outage on August 27, 2017. MG.	161121	IN	NS	ns.dts.mg. MG.	161121	IN	NS	b.mg.dyntld.net. MG.	161121	IN	NS	ns-mg.malagasy.com. MG.	161121	IN	NS	a.mg.dyntld.net. MG.	161121	IN	NS	censvrns0001.ird.fr. MG.	161121	IN	NS	ns.nic.mg.